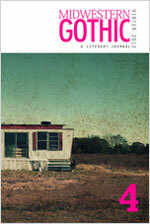 Today, I am happy to present the co-founding editor of the literary journal Midwestern Gothic: Robert James Russell. His work has appeared in Joyland, The Collagist, Thunderclap! Magazine, LITSNACK, and The Legendary, among others. 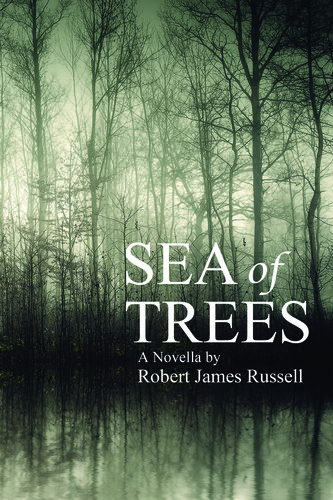 Sea of Trees is his first novel, and today he has joined us to say a bit about that journey. Thank you, Robert, for sharing your thoughts on the writing life! Midwestern Gothic came about during my time in graduate school I was studying American realism and regionalism, specifically, Southern Gothic—I came to the conclusion that the Midwest, my lifelong home, had never truly received the same nation-wide treatment as other regions (the aforementioned South, East and West Coasts, etc.). The Midwest is unique, has its own mythology and stories, and yet there wasn’t ever a big push for regionalist literature from the area (not to say there haven’t great Midwestern authors and poets, because there have and always will be). It seemed that people outside of the Midwest saw us—and some would argue they still do—as nothing but flyover states who couldn’t write ourselves out of a paper bag. But I think that’s bad, dangerous: We have tremendous talent, unique experience all our own that breeds such a fantastic and one-of-a-kind worldview and, ultimately, literature. And that, really, was the birth of Midwestern Gothic—to create (hopefully) the compendium of contemporary Midwestern fiction and poetry, a place to shine a spotlight on the talent here so we can show the world that we’ve got something to offer. Sea of Trees came about from an article I read about Aokigahara—a real forest in Japan near Mt. Fuji that happens to be the second most popular spot in the world for people to commit suicide. I was fascinated by the place—it has a long and macabre history—and the idea came to me to set a story there, an intimate tale that weaved in the culture of death and suicide in Japan by way of a Japanese woman and her American boyfriend (who acts as a proxy through which the audience, similarly inexperienced with this culture, can learn about it, ask questions, etc.). And as I researched and wrote and developed, it occurred to me to not just follow these two through the forest—they are l ooking for her missing sister who disappeared there a year before—but also, since the forest is as much of a character itself—write vignettes about how various people ended up coming to Aokigahara to kill themselves and why they made that decision (these vignettes also help give breath to the main storyline). The book is short, just over 100 pages, but I think fits the tone perfectly—too much more death would start to desensitize the reader from the ideas I’m trying to present. I very much feel that same way—this need to tell a story, to write it down, has been there ever since I was young (although it started out as a need to tell stories via pictures and drawings which evolved into writing in my early teen years). And since then it’s just taken root, become who I was—Rob the Writer. I see stories wherever I go, in the scenery, in the conversations I hear when I pass by a group of people, and yeah, really, I can’t imagine not writing. I truly don’t do this for fame or money, but to tell stories and hope that even a single person is moved or experiences something by my words. Anything else is just added bonus. But at any given time I have half a dozen ideas floating around in my head. At some point I’ll end up latching on to one and that becomes my main project to work on, but the others are all there, and I may find more and add them to this bubble in my brain to be worked on at some point. Take now, for instance: I’m almost done with edits on a new book and when I start to send that out to agents and publishers I’ll immediately start working on my next project which can’t seem to worm its way out of my head fast enough. My favorite work is Faulkner’s As I Lay Dying. First, it’s what really sold me on being a writer, inspired me to no end. I’ve read it more times than I can even count, and yet still, every time, it gives me chills. Just so incredibly powerful, so ahead of its time. I remember when I first read it I could hardly believe it was written in 1930—the language, the experimentation of the narration as a means to bring the reader even further into this world …it was all just so perfect. Next, I studied American modernism and regionalism in school and Southern Gothic was one of the inspirations that got me started thinking about Midwest regionalism and the lack of any sort of historical national push in that direction—so personally, what Midwestern Gothic has become, I owe to this book. It was around the time I entered graduate school—a perfect storm of life experience, personal drama, you name it—that just put it into high gear for me. I had wanted to be a writer and had written up to that point, but it was sporadic and my voice was still developing. And it was around this time then that I worked harder at it, wrote every day (it just clicked on, I had to do it), honed my voice, my skills, and began figuring out what my interests were, story-telling wise. I consider that period my “for real” start, but it still took me a few more years from that point to develop my writing and my voice to a satisfying point, only then starting to send out to journals and websites. (Funny story, too: At first I felt more confident with my poetry, had more of that published at first, more nervous about my fiction and how it would be received. Now, though, it’s the complete opposite.) But I tend to think it should be this way, and that it makes sense—go out and experience the world before you start to write about it. And once I had, everything began flooding out. 3. As an author and medical humanist, I am always interested in the intersections of history and fiction. Can you say a bit about genre bending? Intersecting fields of work? I think interesting fields of work and genres are one in the same: I think it makes work stronger in the same way I think it’s important to have those outside of your expertise willing to read/critique your work (more on that later): namely, it can give you an advantage, an extra vantage point in which to view your story. If, for instance, you are a medical doctor, you’re going to have a far better idea of what may go through your protagonists head as (s)/he—also a doctor in this instance—may be thinking and feeling as they operate on a patient. The whole idea of combining interests like this, or, more generally, blending genres, of combining elements of various tropes into a single story, is fascinating—seeing how people view genres, their merits and their shortcomings, and how they’ve come to these conclusions. And I think having a narrow worldview, only looking at something through a single lens, can be detrimental to your work, can really limit how you tell your story and how powerful it ends up being. Personally, I’ve always considered myself an author of literary fiction, but recently have been fascinated about what this term means as well as the stigma associated with it—literary fiction often-times appears to the masses as haughty or even purposely difficult, so it’s very appealing to me to create something that combines literary fiction with other more “popular”, less-misunderstood genres, such as horror or thriller, seeing how close to the edge of literary fiction you can get before people stop consider it such. 4. Your recent book talks about the concept of and relationship to death. How did you arrive at the topic? Did you do much research? A lot of research, yes. The actual writing of the book didn’t take me too long, but I spent a few months reading up on suicides in Japan, the culture of suicide in Japan, and how it’s treated/viewed there. My goal was not to make excuses for it or to psychoanalyze those involved, but to present it as something that does happen, like it or not. And while the death is central, I personally feel there’s more to it than that—the death in the book is an extreme response to the loss of identity oftentimes brought about by miscommunication (or complete lack of communication) between the character and someone they love. I arrived at the topic through the setting. I read an interesting article on Aokigahara—the forest at the center of my novel Sea of Trees—which is a very real place and the second most popular spot in the world for people to commit suicide. I found it fascinating, the history of the place, how macabre it is—even how beautiful it is, at the base of Mt. Fuji—and the story progressed naturally from that line of thinking, from the research I found and the images I was able to find. I didn’t set out to write a book about death, per se, but, given the environment, given the story I had come up with, I used it as a vehicle to talk about other issues I felt were important to me (while not undercutting it, of course, trying to convey the importance of it). You’re right, everyone has a different strategy, and mine is pretty simple, I guess: just keep writing. When I’m working on a book, short, or any piece that’s taking up all my time and energy, I’m pretty fortunate in that I don’t really get writer’s block (knock on wood). I tend to come up with most of the story in my head right off the bat, do a bit of outlining, and then write write write, however long it takes, until it’s out on the page. If there are moments that drag, points in the story I’m not as excited about, I may skip around to others and come back when I’m ready, but I think the important part is not giving up, not stopping. No writer loves every line they write, and I think it’s important to remember they’re all present to help build a story—you could obsess all day about every word, but to me, the whole is greater than the sum of its parts. Anyway, once I get through the first draft, I start going through it, making edits, changing or adding anything that needs, and repeat this for as long as it takes. And for those who do get writer’s block, I think the same rule applies: Keep going. You can always edit later on, cut out anything that doesn’t work or reword it so it does, but if you stop you run the risk of never coming back to it. Bonus: No idea why, but I do my absolute best writing in a coffee shop. I literally cannot write anywhere else like I do there. I think it has something to do with being able to watch people if I’m ever at a lull, listen in on conversations and study their mannerisms which almost immediately gets me thinking about my story or the characters and almost immediately I’m inspired again. 7. As the mentor for a university writing club, I often preach to my students about the value of workshopping. Could you say a bit about your own responsive readers and mentors? Your approach to criticism? Beta readers? I think it’s essential to have a reserve of trusted readers and reviewers. You work on something long enough, no matter who you are or how good you are, and you’re bound to miss something. It helps to have people workshop and brainstorm with you, or, at the very least, read your finished product, offer insight and advice on how to make it even better. (And of course, since I’m such a big fan of cross-genre work, I prefer to have people with different tastes and interests read my work in order to give me a better-rounded viewpoint of my narrative.) For me, I prefer this, and have some great friends in various genres (romance, sci-fi, surrealism, as well as others in literary fiction) that are willing to help me out and give me their honest answers—it only works if you can trust the people you’re working with to tell you how they really feel about something. I think it really can be difficult to find a person that will do that, even if what you wrote isn’t their cup of tea, still find the merit in it or give you comments that are uninhibited by any existing biases, but once you do, you’ll be glad you did, as you can really begin to dissect your work in order to see what works and what you need to do to make it stronger. Regarding criticism, it’s important to remember that everyone has a different interpretation of a story, and no matter what your most trusted reader may say, it ultimately comes down to you and how you feel about it: Will cutting a section of your story out make it that much better, or do you personally feel you can’t afford to lose it? It’s great to see what other people think, but they are giving you their interpretations of your work, and you have the ultimate say. But even having those options I think is another way for writers to help make their work stronger, to be able to consider other viewpoints and how best to approach certain elements of your work. 8. Do you have advice for new writers on “breaking in” to the publishing world? What is it like to be an indie author? First, I think breaking in takes, more than anything else, determination. No matter who you are and what you write, there is an audience out there for you, and, more than likely, a publisher or an agent who appreciates what you do. It just takes time, perseverance—submitting and submitting until something sticks. But you also have to do your homework, make contacts, get out there in the (digital) world, meet others, and not give up. It’s very easy for people to string sentences together and eventually write a book, but it takes real passion to start the next phase (the hardest part, I say), sending it out there, opening it up to criticism and rejection. Being an indie author has its good parts and bad—I’m not as inhibited as someone with a wider audience and therefore more expectations, but with that freedom comes much more work that I’m expected to do myself (marketing and whatnot). My publisher is absolutely great, but I have to be out there too, finding new ways of showcasing my work, getting my name out there, and it can be arduous. But personally? I love it. Interacting with people, talking about writing in general is invigorating. Also, I think being an indie author enables me to be more in touch with readers of my work, on a more personal level, which is incredibly inspiring. Well, on a very broad level, I’m inspired by great authors, big or small, anyone who work hard to get their names out there and make it—whatever it is—happen. And I’m happy to say I’ve met many wonderful people who share this viewpoint, some of whom have been published, others are well on their way through nothing short of their own hard work. As for the editor/publisher side of me, I’m incredibly inspired by Dzanc Books, a Michigan-based indie press that is, at least in my eyes, the cream of the crop. They publish stunning works, have national recognition, and do some inspiring work bringing people together (such as hosting workshops and events all over the country). With what we’re doing at Midwestern Gothic, I would love to be at that level some day, getting our message across to the maximum number of people. Because, in all seriousness, this journal, the idea behind it, is bigger than those of us who are running it: it’s about promoting a region we are so proud of and feel is so undervalued in the literary community, and to be able to spread that message on any sort of large scale would be tremendously rewarding. As for the author side of me, I’m incredibly inspired by my friend and colleague, Matt Bell—he works hard (see a theme here?) promoting his work, promoting the work of others, and sticks to his guns, his voice, and doesn’t make any excuses for who he is or what he writes. He is so talented with such an exceptional voice and he’s involved in so many great projects (Dzanc Books, as well as their journal The Collagist), on top of continuing to pump out just utterly fantastic work, that it’s hard not to be inspired by all the he does. I can’t overstate enough how important I think it is to meet people, other writers, to be able to share experiences and frustrations and words of wisdom—it really does help you keep going. I think a great forum to meet others and talk about stories and editing is Fictionaut, a really cool social medida/form-type site. Twitter is also another really great one—I’ve met many a great writers on their willing to read my own work and to share their own—as well as Facebook. Truly, I think there are an infinite number of ways these days to reach out and meet people, but for me, it’s been through a combination of the above sites.